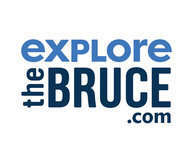 Welcome to the interior of Bruce County! Where farmer’s fields stretch as far as the eye can see and you can find the freshest of vegetables, usually picked that morning, on roadside stands or at local Farmers Markets. Here you’ll see quaint towns that are filled with creativity and the promise of a fantastic find. Start with the biggest selfie partner around - Big Bruce stands 15 feet tall with the sweetest face. After snapping a picture with this gentle giant, head south on Bruce Road 10 until you reach Bruce Road 19. Once you’ve reached Bruce Road 4 turn right, cross over the bridge to see the next location on the right-hand side. Park the car and follow the detour to the Adventure Passport box. If you time it right, you can stop in for lunch or dinner and get a taste for some of the best pizza around. Cooked on in a wood fired oven in less than 3 minutes – it’s a scrumptious delight, and as an added bonus, check out the trailer in the parking lot for some Kawartha Ice Cream to cool off on those hot summer days. Once you’ve had your fill of pizza and ice cream, get back onto the road and make the turn at the lights to stay on Bruce Road 4. This will take you to almost out of town, but make a right onto Highway 9, also known as the Kincardine Highway. After 13 kilometres, turn left onto Bruce Road 4 towards Teeswater. You’ll see the Gay Lea Farm Fresh Country Store on the left just before you head into town. Inside you’ll find a variety of items, from artisan cheese to home décor items. To reach the final stop in this route, continue into town until you see County Road 6 to the right, make the turn and keep on the road for 26 kilometers. At the stop sign, turn left and you’ll see the FIG Studio Kitchen to the immediate right. You’ve never tasted fresh quite like you will here, with most of the ingredients coming from 5 kilometres or less, the only way to get fresher ingredients is to pick them yourself. Remember to read the ‘Top 3 things to do’ list on each Passport box for more options in the area. Use this year's Adventure Passport to create your most memorable Interior experience!